Located at 1245 N. Broadway, the Kern center is a 210,000-square-foot recreation, athletic, health and wellness facility. 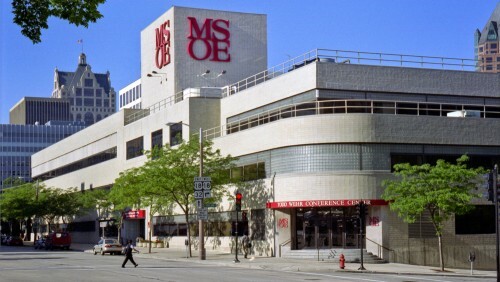 It is the first such facility for MSOE which competes in NCAA Division III athletics. The center exemplifies MSOE’s philosophy of a well-rounded university experience and is an important asset in attracting prospective students and providing current students with ample access to fitness, whether they are participating in NCAA athletics, intramural sports or individual fitness programs. The Kern Center is available for community usage and has hosted events from fitness expos to youth sports camps, leagues and tournaments. Facilities, including the ice arena, are available for limited rentals. See Kern Center Facilities for information and photos of our sports, banquet and meeting/expo facilities. The Kern Center offers a variety of membership options. Please call us at (414) 277-2850 for more information. 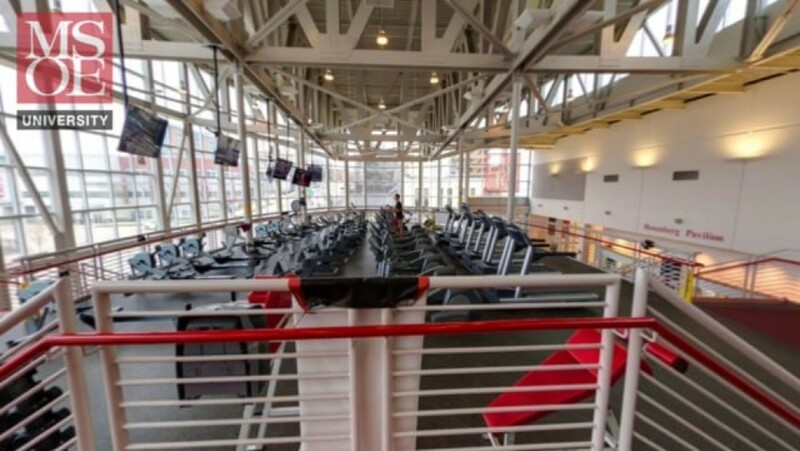 Explore the fitness center and other areas of our Kern Center.